Romania has a large population of elderly people from which 40% are living alone. Using this insight, Vodafone and McCann Erickson Bucharest decided to spin a marketing campaign around two Romanian widows who were still in a habit of cooking enough food for a full family dinner. Using social media, the campaign invited students desperate for a home-cooked meals, to join the ‘Sunday Grannies’ for food. As a result, the grannies’ Facebook page got nearly half-a-million likes, they were covered on the evening news, they got a TV show, were visited by Romanian celebrities, and they started a new trend. Vodafone who used their product to address such a problematic social issue, saw a 78% increase in 4G smart phone sales. Social media and mobile devices have driven fundamental changes in consumer behavior and opened up new avenues for consumers to engage with brands. The need to move faster is greater now than it has ever been. Hence more and more brands around the world have been learning from social media and deploying real time digital and traditional media strategies. 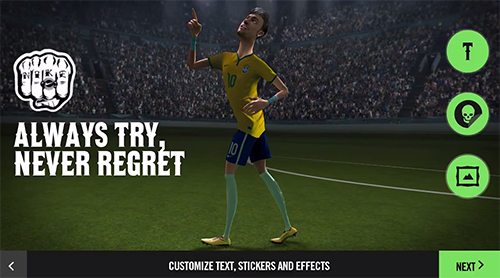 During the recently concluded World Cup in Brazil, Google teamed up with Nike to generate eight different real time campaigns that allowed fans to celebrate, remix and share memorable sports moments, just seconds after they happened. As a result Nike got over two million fan interactions across 200 different countries. To try it out yourself hop over to riskeverything.nike.com. 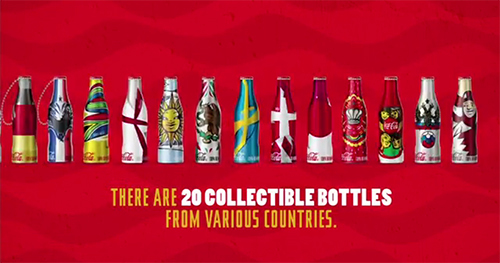 Coca-Cola has recently launched 20 special edition mini bottles to get fans around the world excited about the upcoming 2014 FIFA World Cup, which will take place in Brazil from June 12th to July 13th. The bottles come wrapped in flags of countries that have hosted the World Cup previously i.e. Argentina, Chile, Uruguay, Mexico, USA, England, Germany, Spain, France, Italy, Sweden, Switzerland, South Africa, Japan and South Korea, as well as the three upcoming host countries Brazil, Russia and Qatar – plus two special Coca-Cola editions. Coca-Cola fans can also create and send special messages and avatars to other bottle owners through Facebook and iPhone or Android apps. In addition, special markers on the bottles activate augmented reality animations when held up to a smartphone camera. 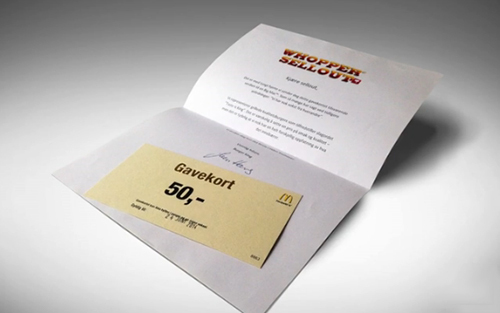 Handing out your competitors product for free may sound like marketing suicide, but Burger King Norway did exactly just that in order to further social engagement with their fans. On noticing that some of its 38,000 Facebook fans weren’t real fans. They decided to find out exactly how many of them were “true” fans by offering them a Big Mac from McDonalds to go away. From the 38.000 fans, Burger King lost 30.000 and with their new dedicated fan base of 8.000, they received 5x higher engagement. On November 13th, Snapchat rejected the $3 billion acquisition offer from Facebook. 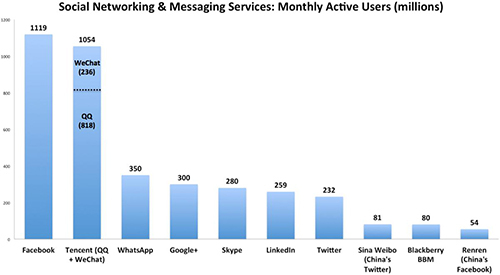 These are all signs that tell us that the battle for social dominance is going to take place via mobile chat apps. Brands however are finding it difficult to reach their audience through these apps as most of them don’t allow in app advertising. This has lead to creation of experimental campaigns as seen on WhatsApp from Klick Chocolate and Absolut Vodka. Now BlackBerry has announced that it is bringing BBM Channels into open beta. BBM Channels is going to be a separate part of their BBM app where users will be able to follow and converse with their favorite brands and businesses. Users will be able to like, comment and share content posted by a BBM Channel, or enter a one-to-one private chat session with the owner or manager of the page. It will also be possible to subscribe to a BBM Channel and receive notifications when new content is uploaded. The update is available as of yesterday on handsets running BlackBerry OS 5 and above. It will hit iOS and Android in the coming months.